I’ve added these dates to my Crowd Calendar, so you’ll have easy access! What time will regular guests have to exit the park? Do you think they will now extend DAH for AK and HS into July and August? How quick do they sell out? Magic Kingdom rarely sells out, but I’d buy my tickets in advance to be guaranteed a spot. They are doing a DVC event at AK on July 18th. Are they really having 2 special events at different parks on the same night? Grrrrrrr!! Now I cant decide which to go to! Any idea how many tickets they sell for these events? Wondering about anticipated wait times. Any idea how many tickets they sell for each night? Just curious how crowded these after hours events can be. We are planning one day at Magic Kingdom either July 17th or 18th. Up until now the 18th was our preferred day. Does this even change our planning? Is the 18th still the better day to attend? Do you have to purchase an additional admission ticket or does this cover entrance into park and the event? I know Mickey and Minnie meet together right now in birthday outfits. Do you think this is the same for the night event? Do you know if you can still meet Mickey and Minnie at this event? Wow! You’re really on it today. Brilliant, I can plan a little better now I have actual dates, thank you very much. 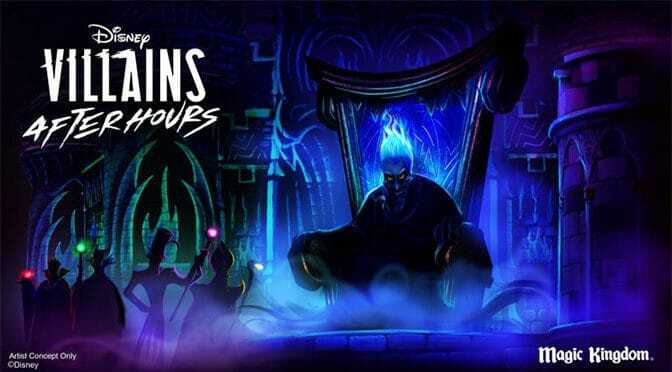 Will there be other after hour dates released that are non villain nights?